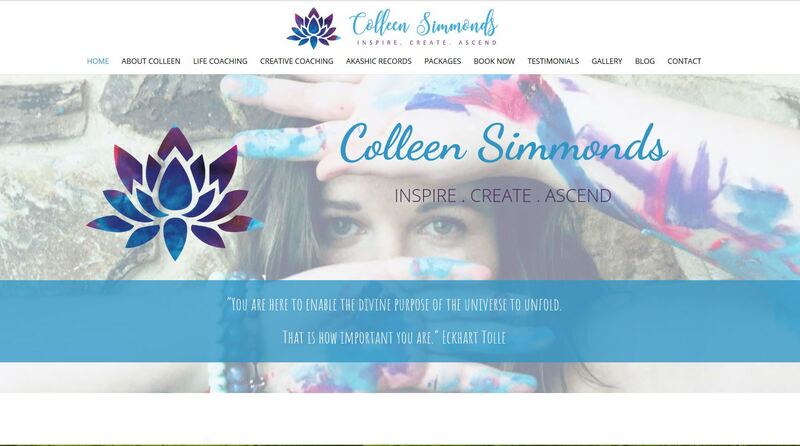 Colleen Simmonds, an Intuitive Life Coach and Creative in Adelaide. Colleen can help whether through Life Coaching, Creative Coaching or exploring one’s Akashic Records, She has the toolkit to dive deeply into your world and uncover your path to personal freedom, joy and inner peace. Colleen contacted Website Adelaide for help with a brand new website for her services. She needed an online presence with her words and had a design and structure in mind. We created her a beautiful website to be proud of and wish her all the success.